You can’t play soccer if you don’t have a ball. Stick a mini-ball in your backpack or stash a size-five in the trunk of your car. Doing so is a simple way to show initiative and you’ll be the most popular person in the vicinity. Many of the best soccer games are not played at Wembley or the Camp Nou. On any given day, a town green, city plaza, quiet street or dusty schoolyard could play host to a back-and-forth, high drama affair befitting of a World Cup Final. The pitches you find abroad might not look like the ones you see at home. Get creative about where you lay down those makeshift goal posts (and be ready for disputes about the true height of your phantom crossbar). Soccer players are hiding at every turn. In all likelihood, that starry-eyed kid ogling the ball you’re juggling is desperate to get in on the action. Don’t let shyness prevent him or her from joining you. An easy ball to feet may very well make someone’s day. The reality is that in most other countries, everybody grew up playing soccer. You won’t know whether your flight attendant has a gifted left foot or whether your safari guide is hiding a deft first touch unless you play the pass. Whether you support a behemoth like Barcelona or a lowly club toiling in the second division like Fulham, the badge over your heart can be an instant visual connection anywhere you go. Nowadays, the globalization of the beautiful game has meant that geography is not a barrier to entry for fandom, so let your clothing be a conversation starter. Even an old high school jersey could be all that’s needed for someone to strike up a wonderful conversation! 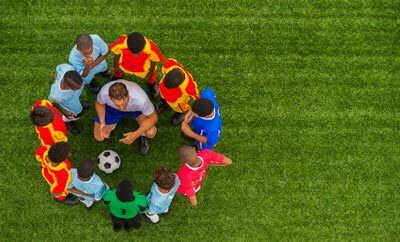 With soccer in your arsenal (pun intended), you are better equipped than most to build relationships around the globe and engage with other cultures on a deeper level. 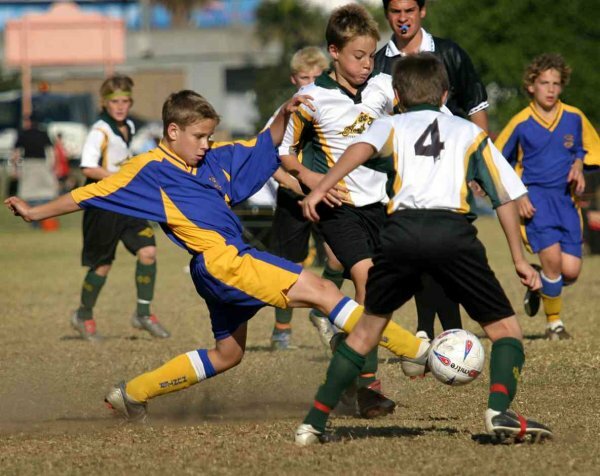 In essence, you already speak the language of soccer, the most spoken language in the world. Don’t forgo language class completely, but realize that your decision to love soccer instantly makes you a better communicator. Traveling with purpose requires connecting with people across cultures in order to understand what excites them most. Breaking out that soccer ball is a great first step. That ball that’s been sitting in your garage untouched for far too long? Those lightly used cleats you outgrew after sophomore year that you still have sitting in the closet? If you know you’ll cross paths with some soccer players while you’re away, see if you can make room for them in your luggage. Check in with friends and family to see what they might be able to contribute, too. Even one pair of cleats can go along way for a player with no means of purchasing a pair of their own. Girls, who tend to get usurped in the pecking order, will be especially grateful for new equipment. Learn the nicknames of the national side. South Africans cheer on Bafana Bafana, which means “Go Boys!” in Zulu. Costa Ricans fell in love with “Los Ticos” on their run to the World Cup Quarterfinals in 2014. The Brazilians live and die with their “Seleção,” and the Argentines with “La Albiceleste.” Voyage to Australia and you might find yourself becoming a fan of the Socceroos. No game in the world is so intrinsically linked to national pride for so many countries. Travel with an open mind and an affinity for the beautiful game. Whether you’re the best player on the pitch or the weakest, the act of stepping onto the pitch with a ball at your feet makes you an ally. Woza Soccer (www.wozasoccer.com) is a non-profit that runs summer service trips specifically designed for high school soccer players using the soccer as a vehicle for connection across cultures, social impact, and service. They take players 13-21 years of age abroad to Costa Rica, Peru, Malawi and South Africa for 2-4 weeks during the summer to demonstrate the universal language of soccer. Join us for an unforgettable summer of soccer, service and travel! 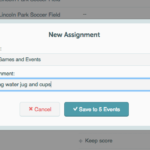 Did You Know You Can Use TeamSnap Assignments to Set Your Lineup?